Zoey Valentine is finally safe, tucked away miles underground in the fortified community of the Sanctuary. She can finally breathe easily. 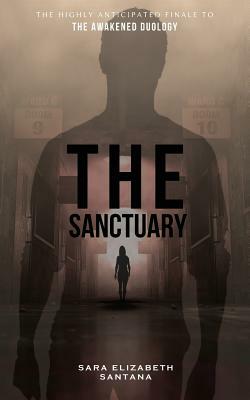 But Sanctuary is far from what she imagined and she can't help but feel trapped. Sekhmet's leader, Razi Cylon, may be dead but Sekhmet, her evil corporation that created the Awakened, is still out there and it's not long before citizens of Sanctuary are disappearing and reappearing, dead and mutilated, each one tagged with a note, a warning, signed by Razi herself. Problem is, Razi should be dead and when she starts to threaten everything Zoey has fought so hard for, she's ready to fight. Sekhmet has existed for far too long and Zoey has had enough. It's time to end it all.